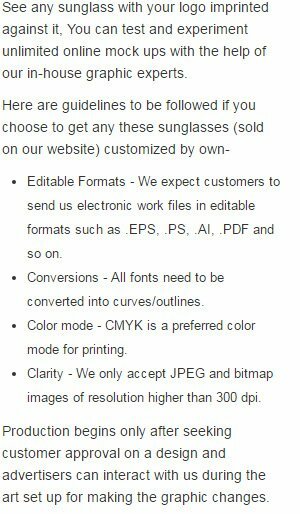 Custom imprinted wedding party sunglasses can be offered as an acknowledgement gift to all those who make it to the wedding party. Couples can always choose to offer these custom sunglasses as a gift and to seek benefits they can always order it in large numbers. Huge discounts are offered on bulk purchases. Premium solid color black rubberised custom sunglasses. Try wedding sunglasses with 25 colors. Assorted option available.